"It’s impossible to keep everyone happy." The Indian squad for the ICC Cricket World Cup 2019 was announced recently by the Indian Cricket Board (BCCI) as chief selector MSK Prasad put forth the team that will play the mega ICC event in England and Wales from Thursday, May 30. The Indian team will play South Africa in their first match on June 5 at the Rose Bowl. The Indian team announcement was surprising enough for many people as they found that some inclusions and exclusions were a bit hard to digest for some former cricketers and experts alike. KL Rahul was selected as the backup opener to the duo of Rohit Sharma and Shikhar Dhawan. Vijay Shankar was picked in place of Ambati Rayudu possibly for the batsman at the no.4 spot in the playing XI. 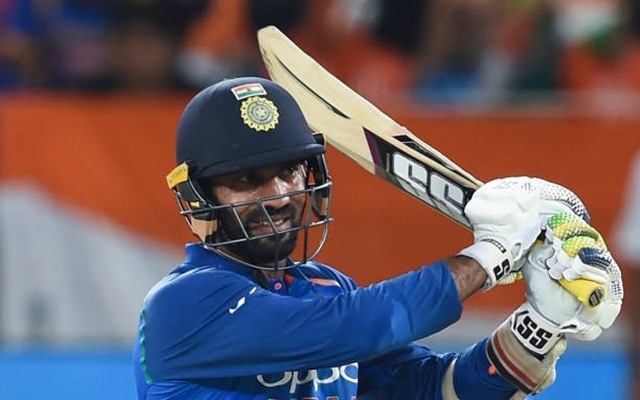 However, former India batsman Sanjay Manjrekar found it hard to digest that Dinesh Karthik was included in the 15-man squad over a young keeper-batsman like Rishabh Pant. Karthik has been part of the Indian team ever since his match-winning innings against Bangladesh in the Nidahas Trophy Final 2018 and has done justice to his role of the finisher, as he helped MS Dhoni register a win over Australia in Australia in an ODI. Sanjay Manjrekar felt that selectors showed inconsistency by choosing Dinesh Karthik as the backup wicketkeeper instead of Rishabh Pant. MSK Prasad also clarified that Karthik will only play if Dhoni is injured or unable to take part in any of the matches during the World Cup. Karthik was not included in the Indian team squad for the home ODI series against Australia and Manjrekar felt that his 50-overs career is all, but over. On top of that, Manjrekar also said that Vijay Shankar was a very lucky person to be included in the Indian squad, as he was chosen over Ambati Rayudu for the no.4 batsman spot in the playing XI.